With a grand total of 118,201 games (73,052 full games and 45.149 game fragments), in numerical terms it is the biggest collection of annotated games on the market. 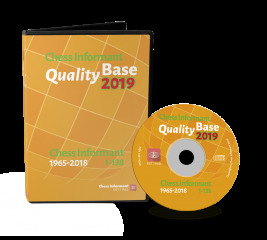 In contrast to the commercial databases which offer millions of freely accessible games with no analysis, Quality Base is a triumph of quality over quantity. 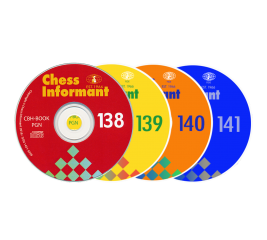 Subscribe to Chess Informant on CD - the publication the Pros Use and Create! Subscriptions come with tons of benefits: SAVE 20% off the cover price! Pay once-as soon as a new issue comes out, it is sent directly to you. Don't worry about ordering every issue-subscribe once and let us take care of it for you! 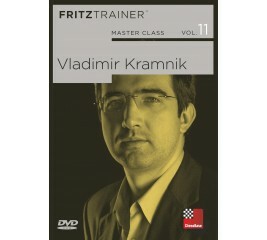 Born in 1975 in Tuapse on the shores of the Black Sea, Vladimir Kramnik studied at the Botvinnik-Kasparov chess school. At 16 he was included in the Russian Olympiad team and scored a sensational 8.5/9, the best result at the Olympiad. 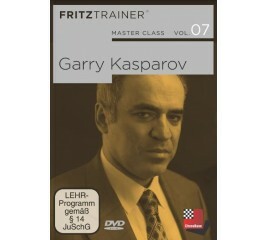 On this DVD Garry Kasparov deals with the first phase. He recounts how he made it to the top in the years 1973 to 1985 and shows the key games which helped him become the world’s best player. 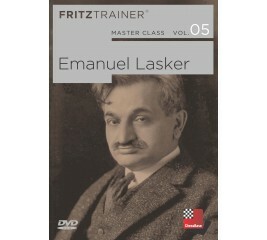 On the ChessBase DVD a team of experts delves deeply into Lasker’s play. In more than 6 hours of video (both in English and in German) the authors cast light on four important aspects of Lasker’s artistry. Niclas Huschenbeth has looked into Lasker’s openings. Our tactics expert Oliver Reeh challenges you in our interactive format: can you too find Lasker’s brilliant moves? Mihail Marin describes the second world champion as an original strategic player who took his decisions based on the specific features of the position. For Karsten Müller, Lasker was a great pragmatist and a superb defensive player, which is reflected in the selection of endgames he has chosen to discuss. 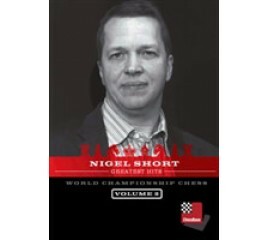 In his DVDs ''Greatest Hits'' Nigel takes us on an electrifying journey through his rich chess career, beating no less than twelve world champions. Acclaimed as the ''Fastest Brain in the World'', Viswanathan Anand is the world number one and World Champion. 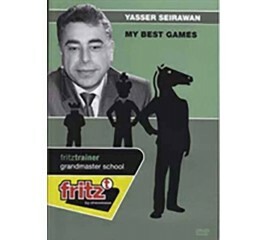 In this, his first DVD, Yasser takes an engaging in-depth look at 22 games he played from the period 1975-1982, explaining his style, strategy and tactics against Larsen, Gligoric, Kortchnoi, Tal, Timman, Karpov and others. Viswanathan Anand is the world's highest rated chess player and World Champion. In March 2007 he reached the number one spot on the world ranking lists by winning the prestigious Linares tournament. 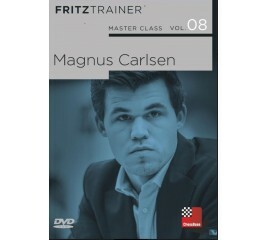 In this DVD Short takes us on an electrifying journey through a very rich chess career, which saw him beat no less than twelve world champions. 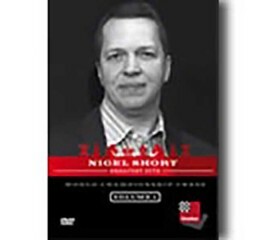 On this DVD, a team of experts presents you every facet of the chess legend, and shows you the winning techniques and strategies employed by the 11th World Champion. Grandmaster Dorian Rogozenco delves into Fischer’s openings, and retraces the development of his repertoire. What variations did Fischer play, and what sources did he use to arm himself against the best Soviet players? Mihail Marin explains Fischer’s particular style and his special strategic talent in annotated games against Spassky, Taimanov and other greats. On this DVD, a team of experts looks closely at the secrets of World Champion Karpov’s games. In more than 7 hours of video, the authors examine four essential aspects of Karpov’s superb play. Niclas Huschenbeth takes a look at Karpov’s openings. 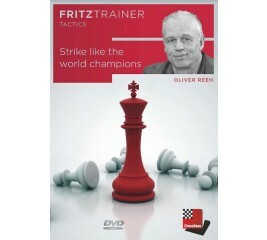 Our tactics expert Oliver Reeh tests your skills with interactive exercises, challenging you to find Karpov’s brilliant moves. Mihail Marin sees in Karpov’s play great similarities to Magnus Carlsen: by the time the opponent understands what is happening, it is already too late. For endgame expert Dr. Karsten Müller, Anatoly Karpov is “a living legend”. For him, Karpov has “an incredible feeling for the coordination and harmony of his pieces”, something which also shows in his endgames. Alexander Alekhine, the fourth World Champion, played many fantastic attacking games and to this day enjoys the reputation of being an attacking genius. But ever since Alekhine won the World Championship match against Capablanca in Buenos Aires 1927 the chess world could see that the Russian-born Alekhine – who immigrated to France in 1921 – also handled technical positions excellently. 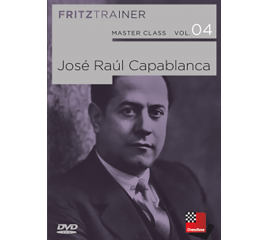 But his success against Capablanca was still a surprise because the Cuban was considered to be virtually unbeatable. 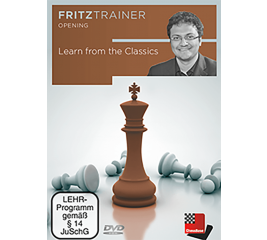 From amateurs to professionals – players of all levels know how difficult it is to learn chess strategy and how much time and effort it takes to improve middlegame play. 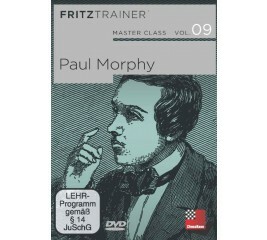 The author of this DVD has a solution - suggesting and demonstrating what he believes to be the easiest and most affordable method - learning from the World Champions! Sergey Karjakin hit the headlines in 2002 when he became the world’s youngest ever grandmaster aged just 12 years 7 months, a record which shocked the chess world and still stands today. In the first of this new series with ChessBase, IM Lorin D’Costa investigates one of the most famous prodigies of modern times – Sergey Karjakin. 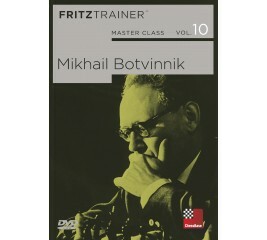 On this DVD grandmasters and experts such as Yannick Pelletier, Mihail Marin, Oliver Reeh and Karsten Müller show, using the games of Mihail Botvinnik, how to employ specific openings successfully, which model strategies are present in specific structures, also how to find tactical solutions and solid rules for how to bring endings to a successful conclusion. Anyone who would like to win his or her games in a positional manner and where possible without tactical risks will find in the games of Mikhail Botvinnik valuable guidelines. Many of his games belonged in the days of the “Soviet School of Chess” to the basic education of young players in strategy and endgame play and even today are still of incalculable value as guides to the successful conduct of a game. 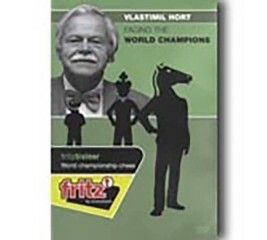 IM Oliver Reeh leads you step-by-step through 88 of the most brilliant game conclusions of the world champions — in interactive Fritztrainer format, enabling you to enter the winning moves yourself. If you are stuck, a little hint will give you all the help you need to find the solution. From powerful mating attacks to dynamic middlegame solutions, to tactical finesses with only a few pieces — apart from pleasure, solving all these top combinations will definitely give you a huge boost in your own chess practice! Wise and successful players of the game have always told us to study the classics – games by the great masters of the past. 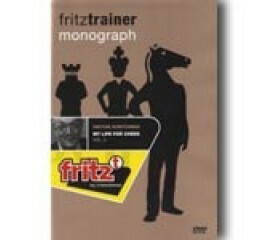 But in this age of cutting-edge opening theory, preparation and engines, is studying the classics really that helpful? Absolutely! 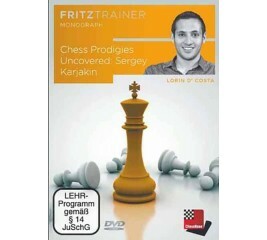 On this DVD, IM Shah shows you classical games of great legends such as Petrosian, Botvinnik, Fischer, Korchnoi and Kasparov, looking at typical patterns and ideas from the middlegame. The author then goes on to explain how you can use these ideas in your own battles – by showing you examples of applied classical knowledge from his own games! 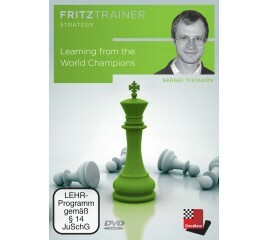 This DVD allows you to learn from the example of one of the best players in the history of chess and from the explanations of the authors (Yannick Pelletier, Mihail Marin, Karsten Müller and Oliver Reeh) how to successfully organise your games strategically. Garry Kasparov a great and inspiring player who strongly influenced development of chess contributed to Chess Informant over thirty years. 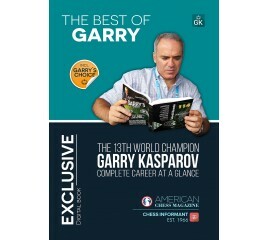 This Exclusive Digital Book relives Garry Kasparov's chess career. 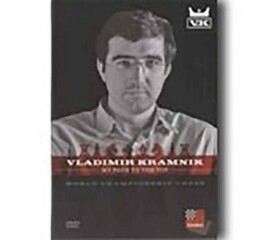 Viktor Kortchnoi Volume 2 features about four hours of Kortchnoi live. The great chess legend portraits the second part of his eventful career, presenting among other things his games against Kasparov (1986), Spassky (1989) and Short (1990) in his typical gripping style.